Cloud computing has transformed the computer industry into utility providers, like electricity or natural gas. You plug into the service and pay as you go. 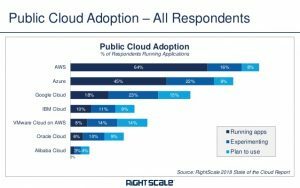 The “Infrastructure as a Service” (IaaS) and “Platform as a Service” (PaaS) markets have recently experienced significant growth. AJBoggs’ IXN Team plans, designs, implements, and operates Cloud solutions affordably, including IaaS and PaaS. IXN also offers “software as a service” (SaaS) to run enterprise, eHealth, and assessment form applications. We will go further to evaluate and find the best solution for your needs. For example this past summer our technical staff evaluated options for a cloud-based Medicaid enrollment portal and concluded the following for Microsoft’s Azure and Amazon’s AWS. Azure’s price advantage explains why it is growing faster: they are buying market share. What is next for cloud providers? New services from Cloud providers include “Serverless” services, like AWS’ Lambda services. These services do not require users to rent a server but are offered on platforms that load servers as needed so their customers simply upload the code and connect to these services instead of renting servers. So that they don’t need to worry about patches, capacity, or updates to keep application running the latest versions. Configuration Management is easier. Cloud providers manage those processes so you only pay for the transactions (units of service or CPU cycles) you need. If a new computing technology is introduced, most likely you will find it in the cloud. You’ll find services for the Internet of Things (IoT), quantum computing, and artificial intelligence (AI). Connect to the cloud from your mobile devices, from your servers, from your desktop. Ubiquitous computing has arrived. Contact IXN at dedicated@ixn.com for help sorting out your cloud strategy.